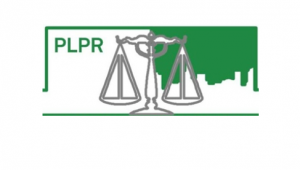 The 10th International Conference of the International Academic Association on Planning, Law, and Property Rights (PLPR) will take place in Bern, Switzerland, on February 17-19, 2016. The conference theme is Land as a Scarce Resource. Spatial planning is often accused of not being able to promote a more parsimonious use of natural resources. Most countries have passed planning acts accompanied by the development of training programs for planners through national planning schools, and planning departments were created at all levels of government. In most national settings, spatial planning instruments were crafted in a context of land profusion. But are these systems able to meet the challenges of scarcity today? Fighting against sprawl and uncontrolled growth in the name of sustainability calls for the end of green field development. Yet, suitable land for urban development is becoming more and more scarce. One of the central challenges of the new scarcity situation is that spatial planning needs to deal with the complex property-rights situations that characterize the already-built environment. Redevelopment, densification, mixed use development and urban land reconversion implies that public actors, developers, real estate specialists, neighborhood or tenant associations will have to deal with competing interests that are rooted in complex property right situations or regimes. For effective steering of spatial development, a deeper understanding of the tight interactions between spatial planning and property rights is required. Even where economic growth is still given, the actors of spatial planning struggle with this new focus on the redevelopment of pre-used plots. Beside technical challenges such as contamination, neighbor conflicts, noisiness, etc., scarcity also questions our development patterns oriented toward growth, increased resource consumption per capita, and growing inequalities.